By 2050, as the planet’s population will swell toward 9 billion, demand for food, water and energy will strain Earth’s natural systems, especially our ocean and coastal ecosystems. To ensure these important systems keep pace with human needs, we must harness the scientific knowledge, innovations, tools and applications of marine conservation, restoration and management. Ocean ecosystems are as varied as they are valuable. Seagrass meadows are veritable fish factories and carbon stores. Snorkeling and diving generate billions in tourist dollars. Oyster reefs support important fisheries, filter pollutants and reduce the impact of violent storms. When paired with saltmarshes, mangroves, ocean currents, nutrient-rich upwelling and other habitats, the ocean provides countless, often invaluable services to society. We must cherish the ocean’s wealth of services. To that end, Mapping Ocean Wealth moves us from broad global numbers to specific local details, allowing us to evaluate nature as an economic asset. The data then become actionable and inform engineering, financial and policy language that lead to better planning, conservation and investment decisions. View and download TNC’s Mapping Ocean Wealth Vision Sheet here. Mapping Ocean Wealth delivers scientific information in a clear and useful way to aid decision-makers at the local, national and even international levels to better understand the true value of the ocean environments to our lives. This is not a top-down theory of change. We are not telling stakeholders how they should behave. Instead, we provide stakeholders the maps and data needed to make better, evidence-based ocean-use decisions. Mapping Ocean Wealth builds on existing research and knowledge to demonstrate, in no uncertain terms, the ecological, social and economic impacts of ocean productivity. 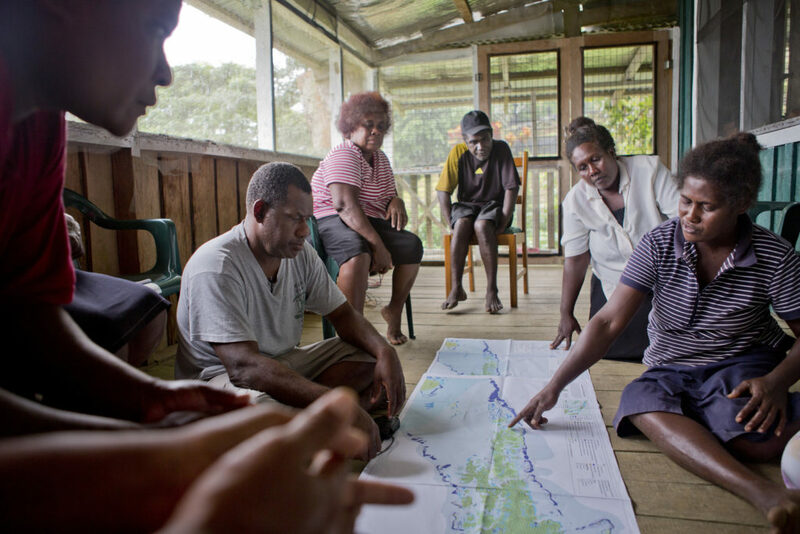 Mapping Ocean Wealth is collaborative, open to voices within and beyond the conservation sector, and committed to sharing data and best practices. For us to succeed, to avoid misunderstanding and inefficiency. Mapping Ocean Wealth aggregates existing science and uses tools and maps to make science more accessible to audiences at all levels. Higher-resolution models illustrate the value of oceans at broad scales to inform decision-making at the national and international levels. Meanwhile, fine-resolution maps and models improve local planning and management. Over time, both approaches provide increasingly better information—creating an ever-increasing, ever-improving data set that paints an accurate portrait of the complex role ecosystems services play in our overall well-being. literature and expert knowledge from around the world to fully understand and accurately describe a particular ecosystem service2 Model –Develop models that demonstrate the value of ecosystem services under varying conditions. 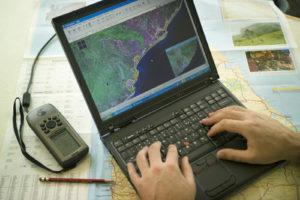 “Value” is not always a financial metric, but instead includes harder quantifying measures such as food security, risk reduction, job creation and seafood harvest among others.3 Map – Map these important and valuable services to provide a continuous, geographically relevant tool for ecosystem services. This approach brings forth an important observation that, while we can always improve our work with more data, there is often enough information out there to serve as the raw materials from which we can build models and maps. As part of this approach, Mapping Ocean Wealth is also looking at ways ecosystems provide multiple benefits at once and, similarly, how different ecosystems interact to produce something greater than the sum of its parts. Likewise, we are exploring how ocean ecosystems relate to other sectors to model the trade-offs inherent in decision-making. One consequence of such modeling, we are fully aware, is that decisions will not always result in favor of conservation of ecosystems. However, we believe such “value for value” comparisons are necessary and the best hope for people of varying interest across multiple sectors to find common ground on the larger questions for our society as a whole. Ultimately, Mapping Ocean Wealth strives to illustrate what protecting—or potentially losing—the ocean means for us all. In mapping, we are calculating and describing—in both quantitative and spatial terms—all that the ocean does for us today, so we can ensure what the ocean will do for us tomorrow. 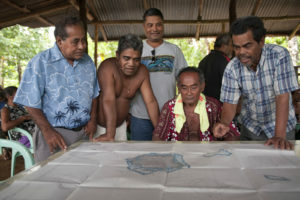 We will declare success only when the language of ocean wealth is integrated in government, business and conservation thinking, when partnerships develop across these varied interests and when a culture of stewardship prevails. 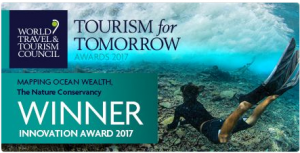 The World Travel and Tourism Council (WTTC) has announced that The Mapping Ocean Wealth Initiative is the winner of the 2017 Tourism for Tomorrow Innovation Award. Read the full story here. 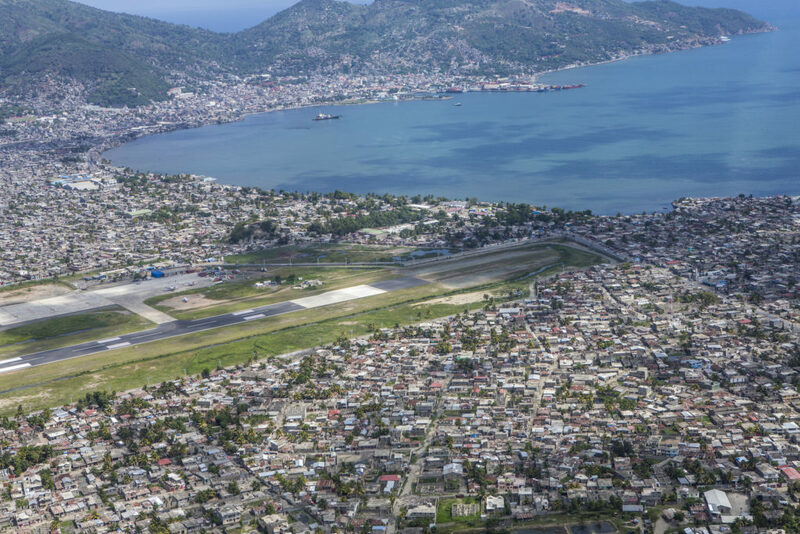 These organizations provide invaluable support for the work of Mapping Ocean Wealth with lead support provided by The Lyda Hill Foundation and The World Bank (Caribbean).